Largely empty desert surrounds the home of a new cargo operation for Emirates airlines, but the Middle East\'s largest carrier spots something different in the sparse landscape near Dubai\'s fledgling second airport. Largely empty desert surrounds the home of a new cargo operation for Emirates airlines, but the Middle East's largest carrier spots something different in the sparse landscape near Dubai's fledgling second airport. "What you see is not sand, but the land of opportunity," said Henrik Ambak, Emirates' senior vice president for cargo operations worldwide. With customs-free truck routes from Dubai's main airport and its massive Jebel Ali shipping port, Emirates said its new SkyCentral cargo facility will attract business both at home and abroad at 145 destinations around the world. Emirates, along with Dubai's rulers, are betting big on the growth of Al Maktoum International at Dubai World Central, which backers hope eventually will handle over 200 million passengers a year. For now, it hosts a few commercial flights a day from the likes of budget carriers flydubai and Wizzair, as well as Qatar Airways, while Dubai International is the world's busiest international air passenger hub. Emirates took journalists on a tour Tuesday of the SkyCentral cargo facility as part of the ongoing Dubai Airshow. 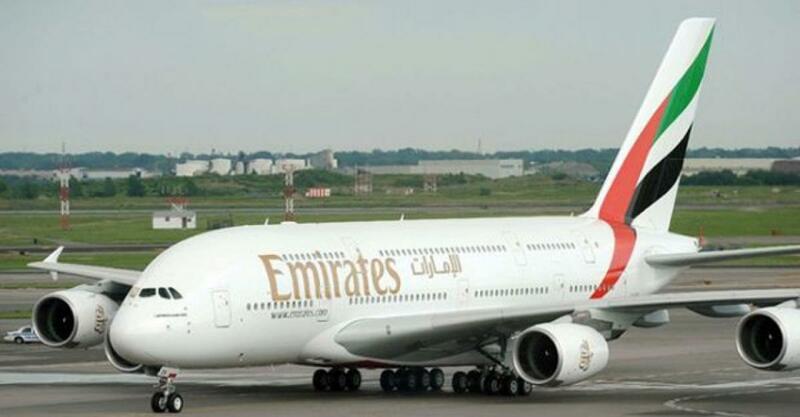 It includes mobile and fixed refrigerated storage for both fresh food and pharmaceuticals, as well as room for 12 of Emirates' 15 freighter aircraft to be parked close by. Though 77 kilometers (48 miles) from Dubai International, Emirates officials say cargo landing there can be repackaged and flown out of SkyCentral at Al Maktoum in five hours. And with Emirates' fleet of wide-body aircraft, like Boeing 777s taking about 25 tons of cargo a flight, passenger flights coming into Dubai offer a lot of cargo that can later be moved out of Al Maktoum, said Nabil Sultan, who heads Emirates' SkyCargo arm. "These are actually mini-freighters, if you like," Sultan said. "It adds to the capacity and the reach we have globally." That reach increasingly involves North America, focusing on adding capacity into cargo flights heading into Chicago, as well as recently adding a route into Rickenbacker International Airport in Columbus, Ohio, Nabil said. However, a walk through the cargo facility saw boxes of electronics and other gadgets waiting to be shipped, many labeled in Chinese or listed as coming from China, a major route for Emirates today even with the country's economic slowdown. "Despite the doom and gloom you hear about, there's still a massive amount of cargo that gets transported across the globe," Sultan said. And security remains a concern. Emirates officials described how they track and secure truck shipments moving across Dubai between airports. Those worries have increasingly come into focus for the public following the Oct. 31 plane crash of a Russian airliner in Egypt that killed 224 people, a flight U.S. and British officials suggest likely was brought down by a bomb. "You know there's somebody out there trying to beat the system every day," Ambak said. "And whatever we do, there's somebody with lots of time, just sitting and waiting to get the right idea to make the wrong thing happen. We have to try all the time to stay ahead."